From the kitchen of One Perfect Bite...I have, all my life, had the good fortune to find myself in the company of warm and generous women. Today, my thoughts embrace them all in a haze that glows more golden as it's burnished by time. That made selecting a recipe to honor them really difficult. I finally decided that "their" recipe had to be one that could be described using adjectives that would describe their personalities as well. Crazy as it seems, Jalapeno peppers came to mind. I placed hot and spicy on my list of adjectives. Sweet and tart were added when I realized that sugar and a little vinegar could be used to make a jelly that would be interesting and have an element of surprise. Properly made, I knew the jelly would be intriguing and memorable. I also wanted the finished product to shine as brightly as their spirits, so it had to have an amber or golden glow. I knew a jelly such as this would be the choice of intelligent and adventurous spirits, so I settled on the recipe below. If you know anyone who is hot and spicy, sweet and tart, interesting and surprising, intriguing and memorable, intelligent and adventurous and has a spirit that can light a darkened room, you might want to give this recipe a try and share it with them. 1) Combine jalapeno chiles, onions, celery seed and 1/4 cup vinegar in the bowl of a food processor. Process until finely chopped. Transfer to a large heavy-bottomed saucepan. Add remaining 1/2 cup vinegar and sugar. Bring to a boil over medium-high heat and cook for 1 minute. Remove from heat and stir in pectin. Return to medium-high heat and boil for 1 minute longer. Remove from heat and let sit for 5 minutes, skimming off any foam or scum that accumulates. 2) Carefully ladle the hot jelly into hot sterilized jars to within 1/4-inch of tops. Wipe rims clean, top with lids and seal tightly with screw bands. Invert jars on a kitchen towel to cool. Invert jars occasionally as jelly cools. Store in a cool dark place for up to 6 months. Yield: 3 (1/2-pint) jars. Now, this is not my grandmother's jelly! Hot stuff! I LOVE pepper jelly! I've never made it but my MIL does and it's delicious, thanks! I've been looking for a good pepper recipe and have just found it. Thanks for posting it and Happy Mother's Day! Never had any pepper jelly before...this is so exciting as I love all the hot flavourful stuff. Mary, happy Mother's Day to you! And have a lovely Sunday! I'm sure the women in your life would smile at the adjectives you used to describe them! Personally, I love pepper jelly..piled on top of some cream cheese on a cracker!! Oh my goodness! Mary, you really hit the spot with this one! I haven't made Hot-pepper Jelly in years and I miss it so! I so enjoyed your description of the ladies who would enjoy it! Just a thought...I used to serve this as a 'quickie' appetizer by letting it warm to room temp and spooning it over a block of cream cheese. Yummy with pita squares or crackers!! Thanks for the recipe...have a wonderful Mother's Day! Love pepper jelly. I like on cream cheese but I have also used it to glaze pork chops or chicken! Beautiful post, never had pepper jelly before. Goodness what a great mother's day celebration jelly! I love hot and sweet... what all good mothers hope to be!! What would you eat this with? My chilli plant is a mass of flowers at the moment, so I am on the hunt for recipes for the fruit when it comes out! Such an interesting choice for Mother's Day -- I've never made it although a jar is usually in the larder -- it is a great "go to" recipe for a quick appetizer when poured over cream cheese! Great post Mary! I use my pepper jelly with meats and seafood and in an appetizer cheesecake. Happy Mother's Day! O, I am going to make this ...it sounds delicious. Wishing you the happiest Mother's Day, Mary. Oh Mary-Jalapenos?--you're serious about the spicy part :) I think YOU have all those attributes--happy Mother's Day! I like to make pepper jelly too - it's a great last minute hors d'oeuvre with some goat cheese and crackers. I chop up some sweet red peppers and throw that i with the jalapenos too - makes for a pretty colored jelly. I've never had hot pepper jelly before, sounds really interesting! Love your take on Mother's Day, Mary. A bit of pepper jelly livens up so many dishes. I always add a spoonful to my marinades when I bbq. Hi, This is my first time reading your blog. Your photography is great! It's a beautiful blog. Happy Mother's Day Mary. What a unique spin on praise for the women in your life. Loved it and the pepper jelly. I have, all my life, had the good fortune to find myself in the company of warm and generous women. Today, my thoughts embrace them all in a haze that glows more golden as it's burnished by time....I lovre Mary and have quoted you on MTBT. Have a wonderful Mother's Day! Happy Mother's Day! What a sweet (and spicy) tribute to the women in your life. Great recipe! Hope you have a wonderful day. Wow! 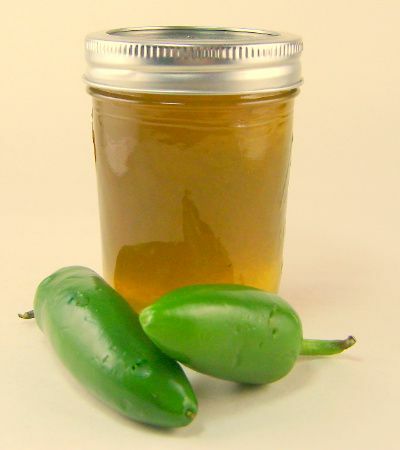 I've had sweet chili jelly, and loved it, so I'm very glad that you shared the technique for jalapeno jelly with us! I never know what to do with leftover jalapeno peppers (I can only pickle so many). Happy mother's day to you! I would definitely want to share this recipe with everyone, male, female. Anyone. It looks delicious. Happy Mother's Day! I'm making pepper jelly as soon as the garden can grow peppers. I love pepper jelly on everything! Thumbs up! Happy Mother's day Mary, I hope you had a lovely day. muchisimas gracias por pasarte por mi blog,yo sere seguidora del tuyo tambien ,me parece muy interesante. I love pepper jelly, especially when it's paired with cream cheese and crackers. Yum! Mary, I am absolutely touched by the poetic beauty of your quote. I adore hot pepper jelly, especially with pretzels. I've heard about pepper jelly for a long time but not tried it yet. Based on the comments from your readers, I may give this a try. I love the glow on your photographs. Soft but attractive. What a great idea! You're so clever. Have an especially blessed day. Also...your writing for this post--you are always incredibly thoughtful, but this one is absolutely touching. You're a special spirit. I can tell. 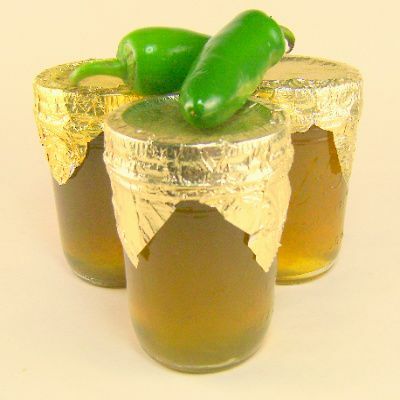 jelly with jalapeno pepper..really shining ..perfectly done mary..
Just glorious Mary! I plan to live up to it! When my husband and I were courting I made him a dinner with chicken breasts in a glaze made with hot pepper jelly. We've been married over 20 years - it must have done the trick! How perfect. I love hot pepper jelly. One of the 10 lovely women in my department gave this to me as a Christmas gift in my early teaching years and I've been hooked since. After getting my mom and sisters hooked, we're been on the quest for the perfect hot pepper jelly. I'll definitely have to give this a try! this is new to me. What a great idea. And what I have it with? This is so good poured over a block of cream cheese and served with crackers. Yum! I love pepper jelly! and I love jelly recipes that don't require any special "canning" equipment. I made this recipe last night. It didn't set. At all. It's like a thick syrup in the jars. Did it take you longer than 24 hours to get it it set? I know some recipes require up to 2 weeks. Can you give me any insight? Should I wait, or re-process the jam with more pectin? Thanks. Graham, I've never had any problem with pepper jelly. I use Certo liquid pectin. I also do not move the jars once they begin to set. It is possible, using the same batch to give it a second try - reboil the mix with 20 percent more pectin added. Sometimes inadequate cooking time is the problem. In either case, testing a small amount on a cold saucer towards the end of cooking time is helpful. If it does not wrinkle when pushed with a finger or tilted, it isn't ready and won't set. Hope this works for you. Thank You Mary. I've never had a problem with other jams setting. Just this recipe. I'm going to try to re-process it. The one thing i did, that the recipe didn't call for, was actually canning it in a water boiler for 10 minutes. but I don't think that should affect it. Are you serious, Mary? Hot pepper jelly! Gosh, I'm still trying to imagine the taste..... HOT! Thank you for the pepper jelly recipe! I was curious about the fact that it called for 2 pouches of pectin. I make a lot of jam with a lot of fruit that only calls for one pouch. Curious about why this calls for 2?